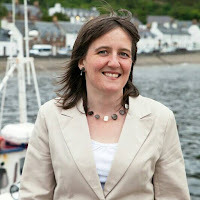 The Tories false promises on the future of fishing in Scotland have been sunk by their only Scottish MP. Theresa May previously warned that Brexit negotiations wouldn’t make EU fishermen any poorer. In addition leaked priorities for the Brexit negotiations described fishing as “low priority” for the UK Government. “David Mundell has sunk the Tories efforts to hide the truth from Scotland’s fishing communities. “The SNP is the only party that will always stand up for Scotland’s fishing industry – unlike the Tories, who infamously and shamefully described our fishing fleets as ‘expendable’. “And with fishing described as a low priority in the Brexit talks, it is clear the Tories are preparing to sell out the industry again. “Scotland’s fishing communities will always be a priority for the SNP.